Lighting-Gallery-net - Incandescent - General Service 25-100 watt/Westinghouse 60w Eye Saving pack. Last style before the Philips switch. 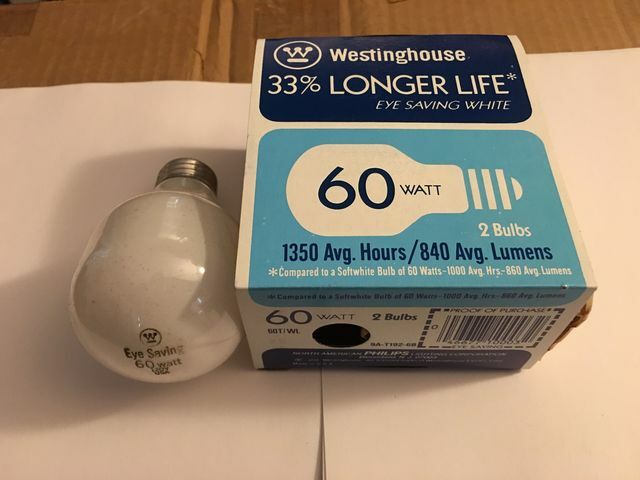 Westinghouse 60w Eye Saving pack. Last style before the Philips switch. Even already says Philips on the bottom. Still call them classic Westies. Nice lamps. These are my second favorite incandescent. The super Bulb being the favorite.